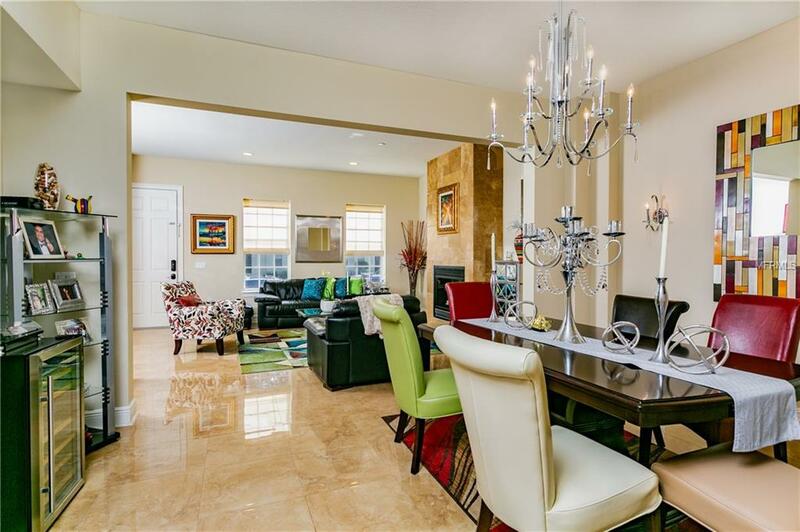 Fall in love with this beautiful townhome built by ISSA Homes. This Bougainvillea model is 3 stories, 3-bedroom 3.5 bath end unit with a detached 2 car garage and a private courtyard. The first floor is tiled throughout and features a family /dining room combo with a gorgeous gas fire place for the perfect ambiance. There is also a half bath, a fancy eat-in kitchen with gas stove, stainless steel appliances, solid wood cabinets, granite counter tops, a separate breakfast nook and an open family area perfect for cooking and entertaining easily. As you walk up the wood stairway to the 2nd floor youll find the office/den area, 2nd bedroom with separate full bathroom, laundry room, and oversized master bedroom, with custom walk in closet and updated master bath that feature dual sinks, and a garden tub with separate shower. The third bedroom is on the third floor and is currently being used as a theatre room that has a closet and complete bathroom with shower/tub combo. 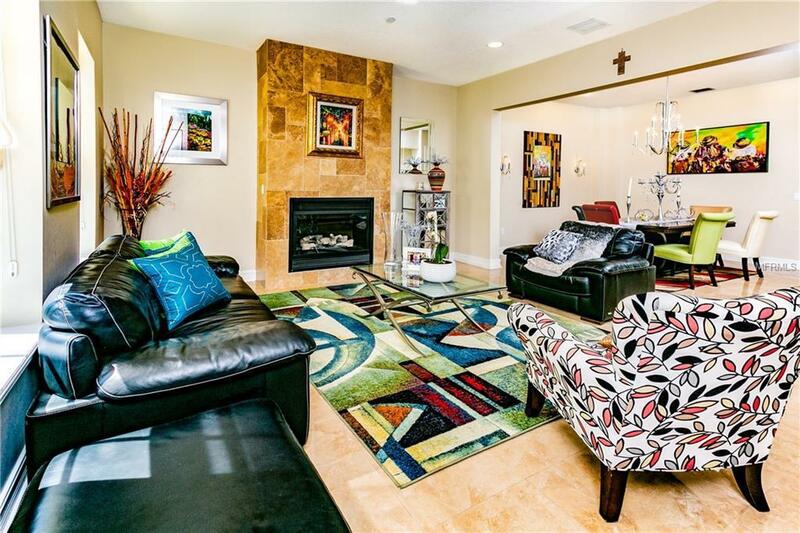 This home is in the desirable East Village in the one and only town of Celebration, a planned community built by Disney. 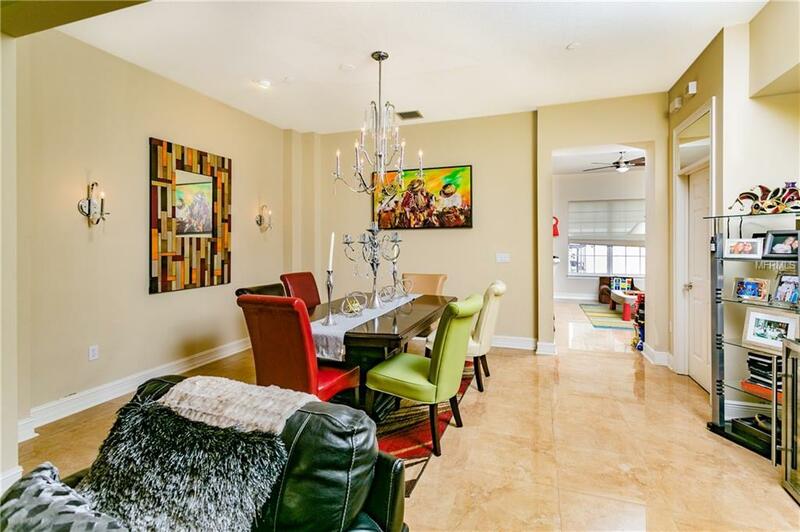 Enjoy nearby walking and biking trails that take you to downtown Celebrations amenities that include highly desirable restaurants, shops, even its very own 18-hole golf course. Short commute to Disney theme parks and attractions. Downtown Orlando is 30 minutes Northeast, and Orlando International airport is 20 minutes East. Call to schedule your private showing today!